Comes standard with 2 antique brass Victorian Brass Knobs. 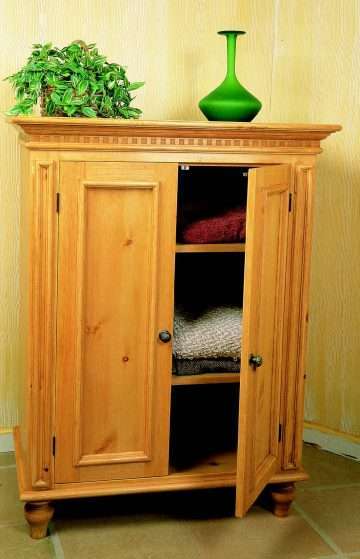 Features dentil moulding detail and 2 adjustable shelves. Ships in 2 corrugated cartons: Cabinet (72 lbs) and adjustable shelves (19 lbs) on 1 wooden pallet (50 lbs).